In February, the United Nations Office for Disarmament Affairs – jointly with the United Nations Institute for Disarmament Research – released a 50-page document on hypersonic weapons. The study aimed to raise awareness of the potential consequences of these new weapons. To understand this new trend, the authors gave an overview of the state of technology, as well as the approaches to implementation in order to limit negative consequences. Antonio Guterres noted during the launch of his new agenda for disarmament that global insecurity is the paradoxical result of each country pursuing security individually. Thus “the development of hypersonic weapons is another source of concern in this context, threatening to destabilize arms control frameworks that have reduced nuclear risks for more than four decades or to usher in a new era of long range conventional warfare”. Nevertheless, the UN also sees the opportunity to address the risk caused by these new technologies as they are not deployed worldwide yet. Meanwhile, countries are developing their capabilities. As the study underlines, the US has had several HDV R&D programs, even if none of these programmes has reached the acquisition stage. Lockheed Martin developed the Hypersonic Test Vehicle (HTV-2), with an intended range of 17 000 km and which was already tested twice. Russia has explored HGV technology since the 1980s, as the authors remind; and President Putin affirmed that the Avangard missile would enter into service in 2019. On its side, China has already undertaken flight tests nine times since 2014. During these tests, the DF-ZF reportedly reached Mach 10 and has covered distances between 1 250km and 2 100km. 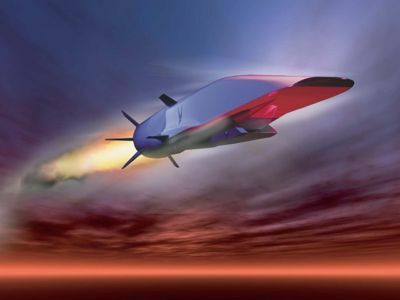 The development of hypersonic weapons faces various technical barriers. For example, extreme heat needs to be managed, as well as the massive aerodynamic forces weighing on the vehicle during its flight. The UN focuses on limiting the proliferation of these hypersonic weapons. It proposes an agreement between Russia and the US “to subject hypersonic weapon systems to arms control measures”. Other options are being considered, such as a multilateral international legally binding regime or a bilateral or plurilateral one between the countries that already have this technology. A flight test ban is also suggested. The UN sees the emergence of these hypersonic weapons as a threat but believes that it is not too late to prevent proliferation. This document will be the base of an “informed debate on topical issues of arms limitation, disarmament and security” in the UN.